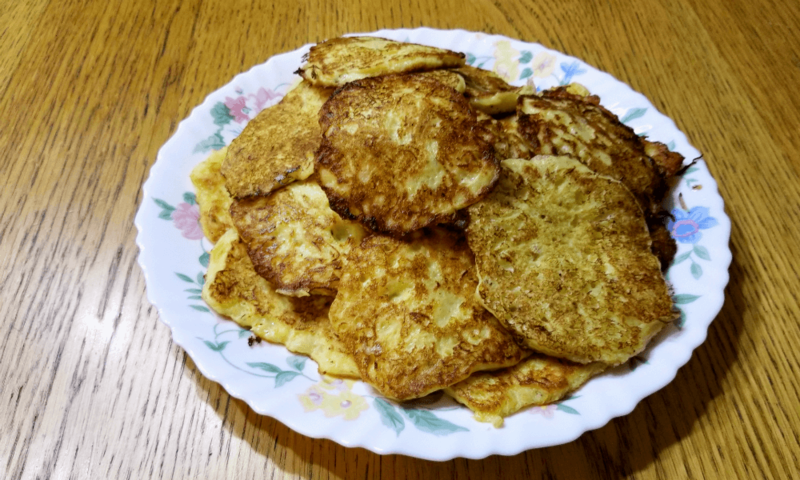 Spaghetti Squash Pancakes - Travel, Shop, Cook, Have Fun! I am not a big fan of spaghetti squash, but the Spaghetti Squash Pancakes recipe I found on Seasonal Ontario Food contains cheese and I have trust in cheese. For this recipe, you will need a cooked spaghetti squash. Preheat oven to 375 F. Slice squash in half lengthwise and scoop out seeds. Drizzle with olive oil and season with salt and pepper, to taste. Place squash, cut-side down, onto the prepared baking dish and roast for 45-50 minutes. Use the fork to scrape out “spaghetti”. Mix the eggs, flour, seasonings, and grated cheese in a mixing bowl. Mix in the spaghetti squash strands gently. Heat a couple of tablespoons of oil in a large skillet over medium-high heat. Spoon out some portion of the batter according to the number of pancakes you wish to make; say about a quarter cup of batter at a time. Spread it out thinly to form a pancake. Repeat to fill the pan with as many pancakes as can be cooked at once. Cook for 2 or 3 minutes per side, until well browned. Remove the pancakes to a serving plate as they are done, adding more oil and more pancakes until they are all done. Serve ’em up. I got 3 cups instead of 2 of cooked strands from a medium-sized spaghetti squash, so I adjusted the recipe above accordingly. As I predicted, cheese makes everything taste good. I served these pancakes as a side-dish but they are also delicious on their own.